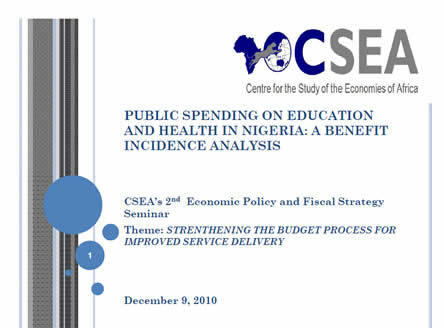 Determine how to answer the question: Is public expenditure in education andhealth sector in Nigeria pro-poor or pro-rich? BIA as a tool focuses on how government subsidies affect the distribution ofwelfare in the population. It addresses the issue of supply and demand forpublic services and delivers information on efficiency and equity ingovernment allocation of resources for social services and on the publicutilization of these resources. The central idea behind BIA is to gain a betterinsight into how government funds are distributed across differentincome/expenditure groups or if spending is in reality targeted to eitherworse-off or better-off households.